Amb. (Barr.) Phillips Obuesi | Institute for Peace and Leadership, Inc.
Amb. (Barr.) Obuesi Phillips is a Lagos, Nigeria based lawyer, businessman and development professional. Barr. 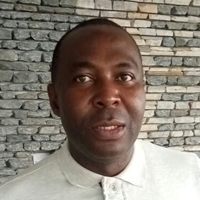 Obuesi is the National Director, Community Agenda for Peace, a Nigerian registered grassroot non-governmental organisation working in the area of PEACE building, Deepening DEMOCRACY and sustainable ENVIRONMENT. Barr. Obuesi Phillips is a recently decorated United Nations Ambassador for SDGs and the convener, Civil Society Consultative Group on SDG – a collaborative platform for dialogue and sharing of information on the implementation of SDGs between the civil society, the government and the private sector. Ambassador (Barr.) Obuesi is an Ambassador for Peace with the Universal Peace Federation, Nigeria.